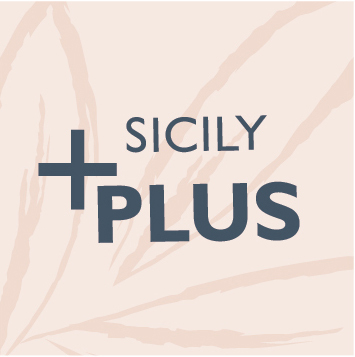 A charming and authentic two-bedroom villa enjoying a great location on Sicily’s stunning and unspoilt western coastline. Set close to the seaside town of Mazara del Vallo just south of the town of Marsala, famed for its delicious fortified wine, Villa Albirosa is a pretty Mediterranean-style property that’s well located for exploring the region of Western Sicily. The property’s interior is spacious, well-furnished and presents modern touches, with the likes of satellite television, Espresso coffee machine and a fully-equipped kitchen, combining perfectly with the authentic vibe of the villa. Constructed all on one level, there’s ample room, generating spacious, airy and light living spaces, particularly in the dining/living area which forms the heart of the property. The exterior of the property is very alluring, beginning with a large terrace that’s ideal for al fresco dining or relaxing in the shade with a glass of local marsala wine. The pool is equally inviting, as are the surrounding gardens which serve as a real suntrap. For those hoping to get out and explore their surroundings, Villa Albirosa is in a good location for discovering the archaeological park of Selinunte, with its impressive Greek ruins, while the atmospheric towns of Marsala and Sciacca are also great day trip options. Interior: Ground Floor: living/dining room with fireplace and double sofa bed, kitchen, 1 double bedroom, 1 twin bedroom, 1 bathroom with tub, 1 bathroom with shower. Outside: Porch, terrace, garden, swimming pool, solarium. Private saltwater pool (11m x 4m - Depth min 1,20 - max 1,80), washing machine, dishwasher, iron, hairdryer, fridge freezer, toaster, espresso coffee machine, television, satellite receiver, hob: 4 gas burners, electric oven, microwave, fireplace, CD/DVD player, safe, highchair, barbecue, external shower, Wi-Fi and sunloungers. Electricity is inclusive up to 200 kWh per week - The extra consumption fee of € 0.40 per kWh is payable locally.